Loaded with a pair of Alnico Classic PRO Humbuckers, the Epiphone G-400 PRO SG produces a balanced, vintage tone that is packed with plenty of high-end sparkle and low-end warmth. The versatile Pro pickups offer the iconic SG sound that works well with a whole variety of different styles and genres. 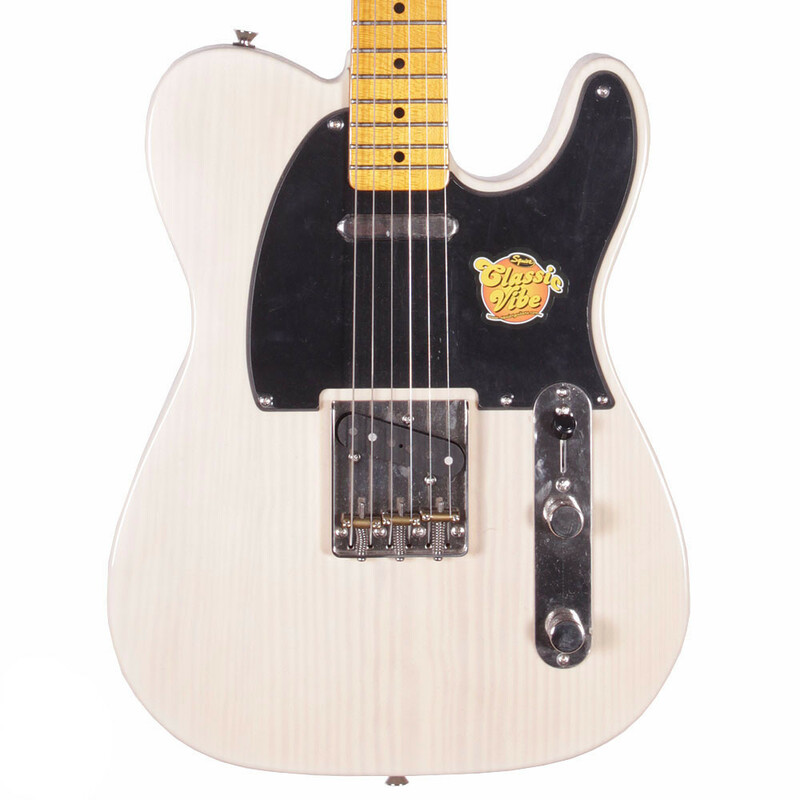 The controls include a Tone and Volume for each pickup, as well as push/pull coil splitting for single coil options and even more flexibility. The mahogany body gives the Epiphone G-400 PRO SG a warm and resonant tone with great sustain, as well as plenty of depth. Mahogany delivers good levels of grind and bite, which works exceptionally well with punchy rock music. The mahogany body also provides durability, and a tone that will mature over the years for a long lasting investment. The G-400 Pro SG features a pau ferro fingerboard. This is slightly brighter than rosewood yet still has the same depth and warmth. 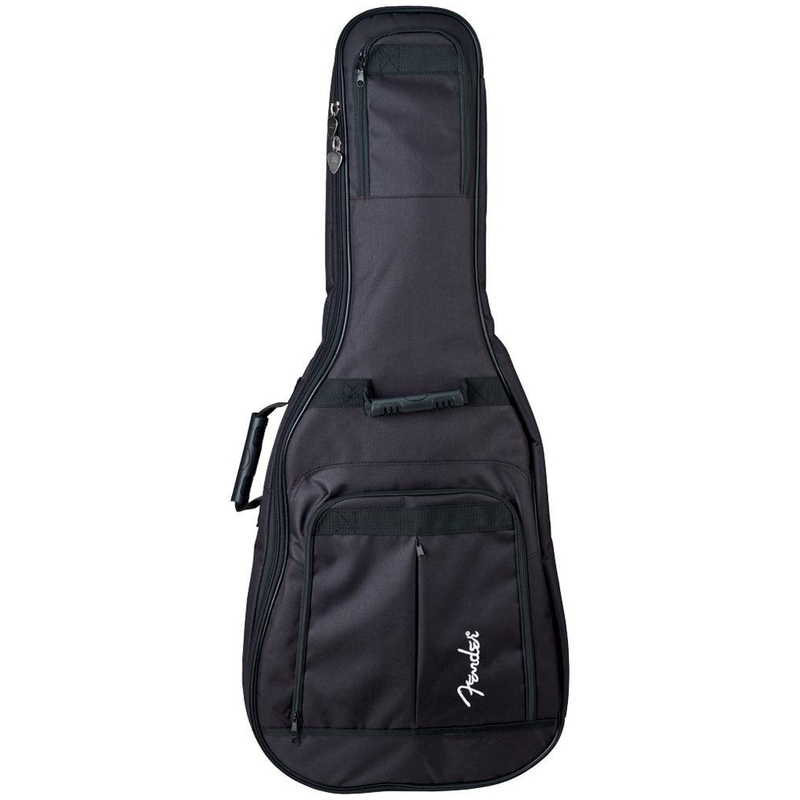 It feels similar to ebony, offering a smooth feel under the fingers which makes it easy to play. 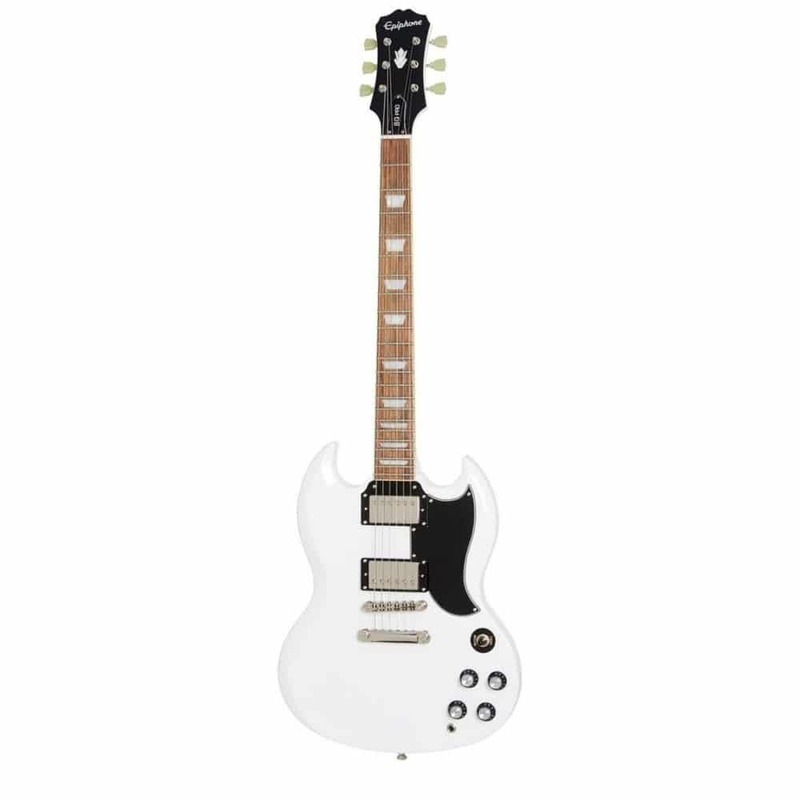 The Epiphone G-400 PRO SG is equipped with rock solid hardware, consisting of a LockTone bridge and StopBar tailpiece which is fully adjustable. 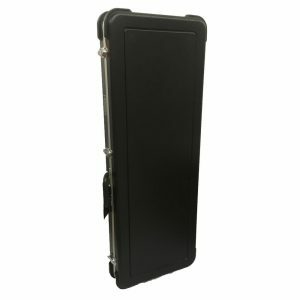 They are locked in place and provide superb tuning, as well as improve sustain. 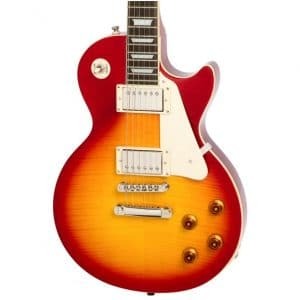 There are also Epiphone Deluxe 18:1 tuners onboard for stability and excellent intonation. The SG series came onto the scene after the Les Pauls, from 1961 to 1968, with its ‘Solid Guitar’ body for enhanced power and sustain. 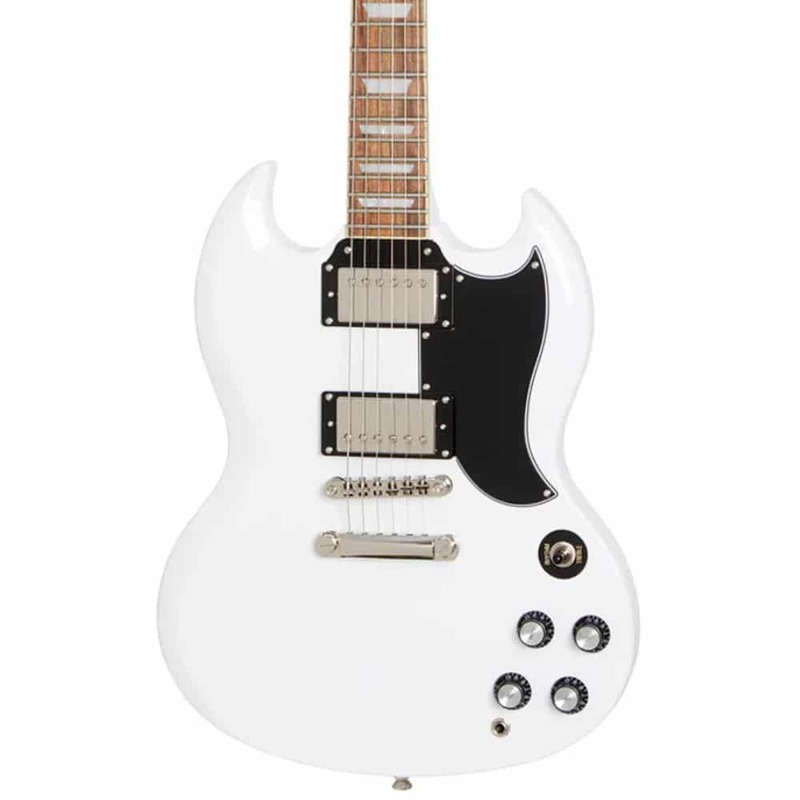 The lightweight and incredible power of the SG, took the music world by storm and it has been used by many legendary rock players such as Eric Clapton, The Allman Brothers, Tony Lommi of Black Sabbath, and Pete Townshead of The Who.